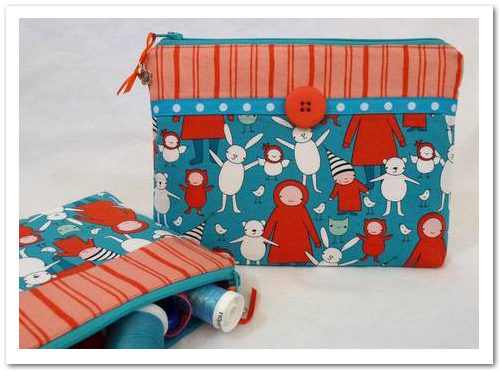 I love making zippered pouches! They make great gifts and you can easily personalize them with your choice of fabrics and embellishments. 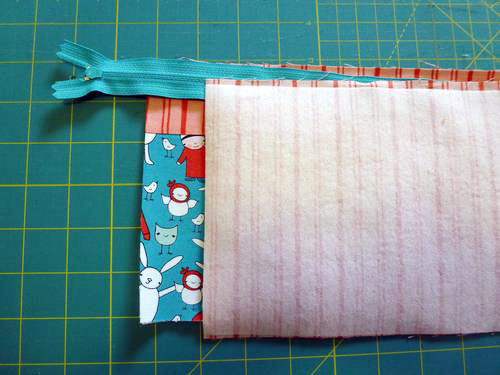 I made this simple pouch to test-drive the BERNINA 380. Start by cutting your fabrics. For the lining, cut two pieces 6 1/2" x 9". 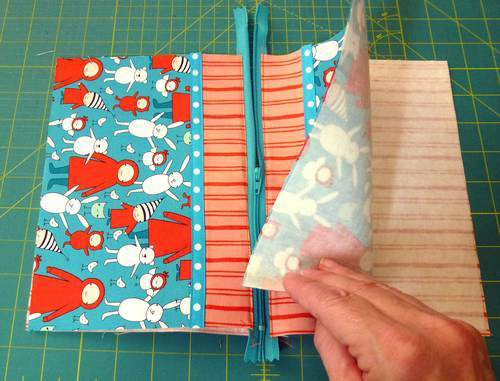 For the outside, cut two pieces of your main fabric (the blue print in this picture) 5" x 9". 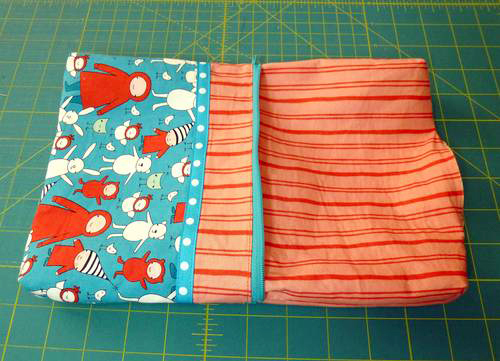 Cut two pieces of your secondary fabric (the orange stripe) 2" x 9". 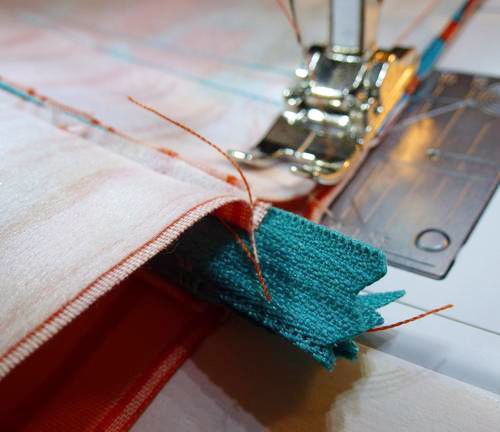 Using a 1/4" seam, sew the secondary fabric strips onto the main fabric pieces, as in the picture. The fabric choice makes all the difference between an ordinary pouch and a great pouch--this bright, whimsical print and matching stripe are really great! 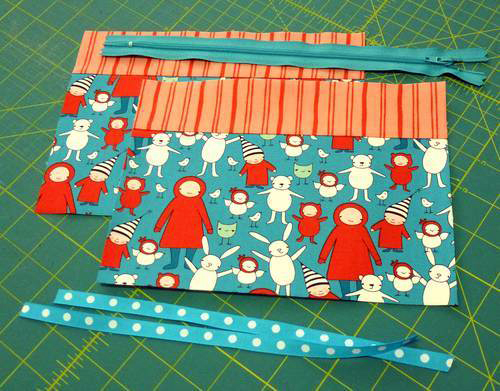 I made two of these pouches, one without embellishment, and one with this blue ribbon trim. If you want to use the ribbon, sew it in place now. To give the pouch more body, I added iron-on interfacing to both the outside pieces and both lining pieces at this point. Since this is an exposed zipper, I'm just using the basic sewing foot (rather than the zipper foot). 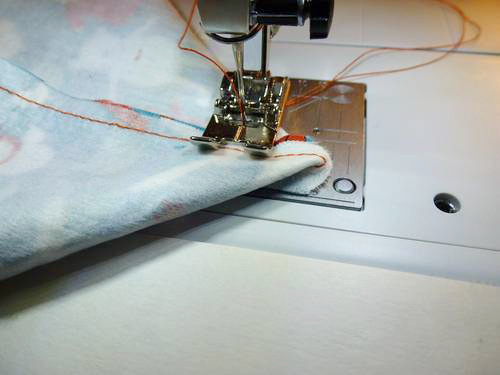 The amazing thing about the BERNINA 380 is that there are nine needle positions, from left to right, so you can easily arrange everything just the way you want it. I'm sewing with the needle in the farthest left position, very close to to the zipper teeth. Then flip the fabrics over and topstitch, again with the needle in the left-most position. Repeat on the other side of the zipper, sewing the outer fabric and lining in place, then flipping the fabrics and topstitching. When you have done both sides it will look like the picture below. Now to sew around the sides. First, open the zipper half-way (you will sew the sides with the zipper in this position). Then flip the fabrics so the two outer sides are touching, right sides together, and the lining pieces are also touching, right sides together. Pin everything in place. The zipper will be folded so there is a small bump at the two sides; make sure the bump is pushed down towards the lining. Sew all around the edge, leaving a 4" opening at the bottom of the lining. 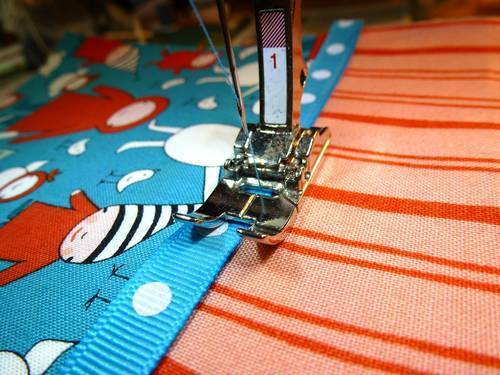 That's right, you sew right over the zipper! Trim off the ends of the zipper, even with the seams. 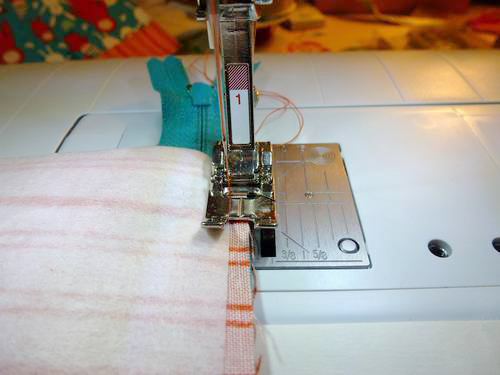 Sew a 1" gusset in each of the four corners. Sewing the gussets is simplified on the BERNINA 380 by the marked 1/8" measurements on the throatplate. To turn it right side out, reach in and open the zipper all the way, then turn it. 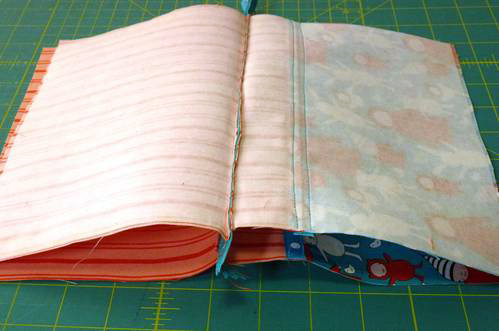 Press under the raw edges of the opening in the bottom of the lining, and stitch it shut. 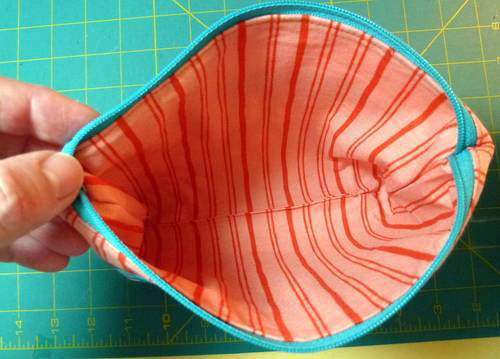 Push the lining down inside the pouch and smooth it out. Hot off the sewing computer! (Yes, that's what it's called in the manual--it's a sewing computer, not a sewing machine!!!) I added the orange button for a little more interest. After pressing it with the iron, I finished the pouch with a flower charm tied on with a ribbon. Small touches like this can really personalize your creations. My zippered pouch is now ready to be given away! Are you going to throw that away?! Can I have it?! Just beautiful, Leslie - I love your creations anyway and it's so cool you were able to test drive this machine! I'm going to give this a try, thanks for the tutorial. This is just too adorable for words. I love everything about it. Thanks, everyone! After you get the hang of it, they are easy to do. I've made a TON of them! i LOVE this fabric to pieces!! 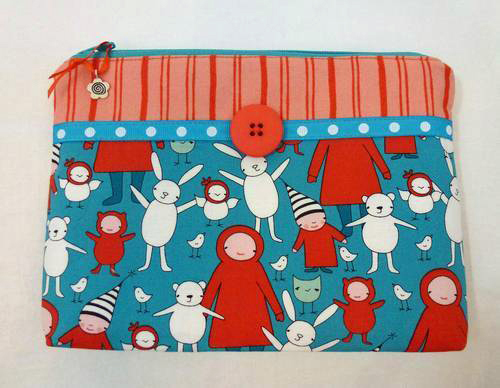 and this pouch is so crisp and lovely--it's an LHH creation, that's for sure. thanks for the tute--i'm going to make me a bunch! ahh! What cute cute fabric! I have to say I'd give the zippered pouch a try but.... there are so many reasons why... I will just admire your creations from my computer! Your creations are always wonderful! This is the post that said "Leslie" immediately! Then I noticed you did several projects. 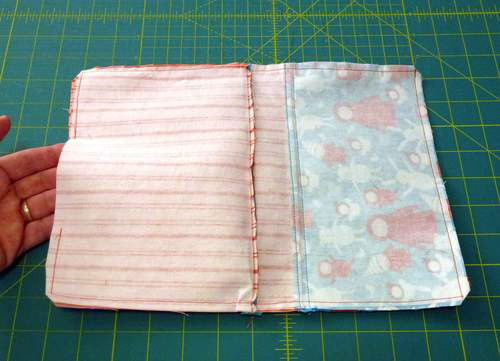 Love this zippered pouch, so spiffy ! Thanks for sharing this lovely pouch with us. Will definitely make me some, I just LOVE pouches! 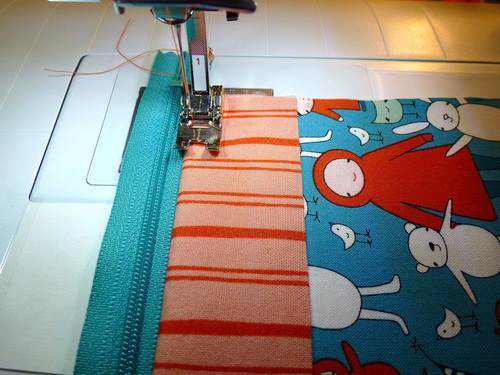 This machine really has so many great options to help your sewing be the best it can be. Love that, and this pouch!